PseudoMyopia has been serviced to Top-40 and Folk radio in the US. "Sistersong" is currently #43 on the Mediabase Top-40 chart. The album charted at #17 on the Folk-DJ chart for the month of February. Additionally, international airplay has been steady and gaining global traction in countries such as Canada, Germany, the UK, and even New Zealand. Myopia was serviced to AAA Non-Comm, College, and AC radio in 2018. The single "Spark" broke into the Top 10 of the FMQB AC chart, and the album was #19 on the NACC Top 200 Adds for the week of May 2. Several tracks were featured on the nationally syndicated Public Radio shows "The Midnight Special" and "Echoes", which included it as one of the Top 25 albums for the month of May. The album was serviced to UK radio in summer 2018. 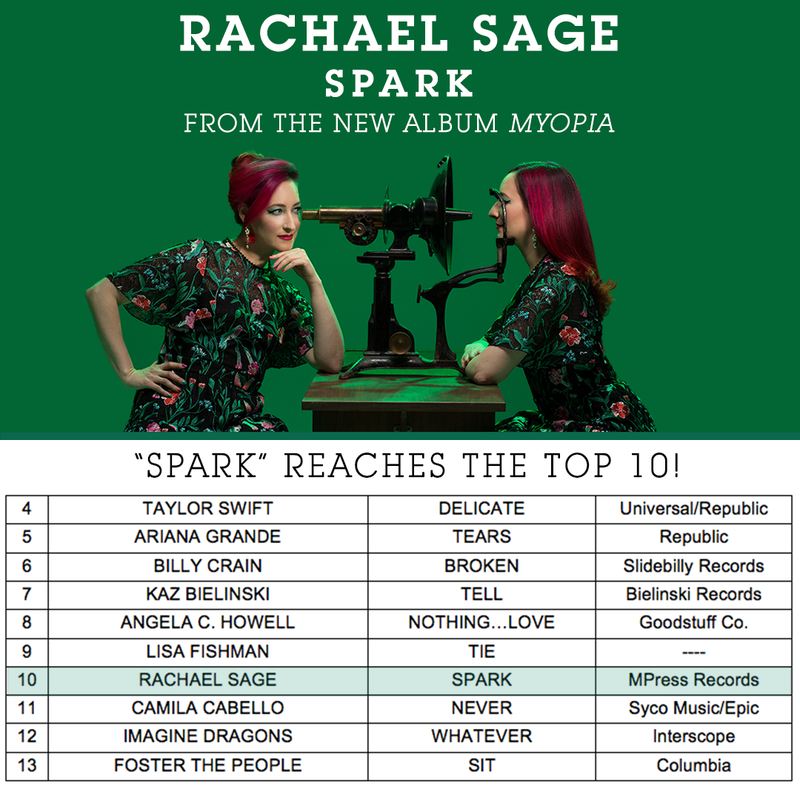 The 1st single "Spark" was warmly received by regional radio throughout the UK, with a total of 65 stations (including Star Radio in Cambridgeshire, Isles FM in Scotland, and Gwent radio in Wales) adding it to their playlists in August and early September. The 2nd single "Myopia" impacted in the UK on October 19, 2018. It was added to a total of 60 stations across the British Isles, including Star Radio, Radio Tyneside, and Oban FM. Click HERE for the full radio history archive.